The Monterey Oceanside Inn is across the street from a recreational trail. 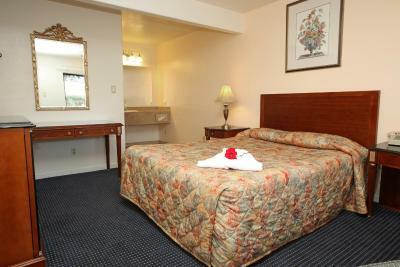 The inn is within a 6-minute drive of the Monterey Bay Aquarium. 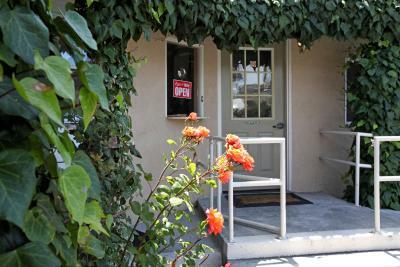 The Monterey Museum of Art is 2 miles from the inn. 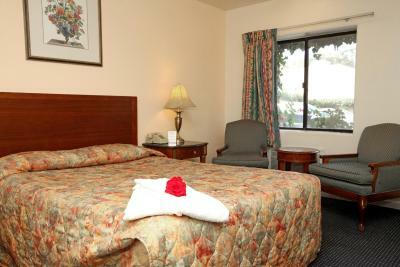 Monterey Oceanside Inn has been welcoming Booking.com guests since 18 Mar 2010. 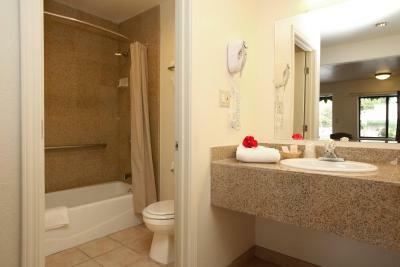 When would you like to stay at Monterey Oceanside Inn? House rules Monterey Oceanside Inn takes special requests - add in the next step! All further older children or adults are charged USD 8 per person per night when using existing beds. Monterey Oceanside Inn accepts these cards and reserves the right to temporarily hold an amount prior to arrival. Needs a lot of work. Even the paint job in the bathroom we stayed in was two toned. Some pink mixed in. Quick fix. You can tell they just want to make money without customer service. I asked for an extra towel and the front clerk seemed irritated. The TV in the back room was really loud, so I guess I interrupted his show. I will not stay here again unless there is some improvement. Too old and gloomy. Actually scary. Partner was on edge thinking of the worst. That did not help with sleep. Uncomfortable atmosphere. So glad it was only one night. Felt, like forever. The outside looked pretty clean. Although the rooms are old and work that has been done in the rooms look shabby, it wa pretty clean. The man at the counter was grumpy and rude, the room was really not clean, walls were paper thin so it was super noisy and it is located on a main road so the street noise is very very loud. The bed was fine, but the rest of the place was dingy. The location is very close to the ocean and the price was very good. For starters, the pictures online were nothing like what we stayed at! The location was down the street from everything but it was in a funky isolated place. We got room for the price we wanted so did do the job for one night but would’ve rather paid more to stay somewhere nicer. The shower curtain was disgusting, the beds didn’t even have fitted sheets, regular sheet was thrown on the beds, whatever the staff was cooking that morning stunk up the entire place (some type of Indian food smell). The only good thing I can think of is you can park right outside your window but that was it. Beds were very used and uncomfortable and felt overall wasn’t the cleanest place. We’ve stayed in many hotels for vacations and our kids traveling sports and this was one we would never come back too. If your looking for a cheap place to sleep one night and you don’t mind below basic this place is for you. Kids I would recommend not. down the street from things to do and you can park right outside your door. It was a simply a perfect place for us to rest after days of travel and fun! I stayed with my 3 year old and 5 month old and it was comfortable for us! Loved the fact it was one story! The lady who ran the hotel was very helpful! Not only did the Wifi not work, but there was no reception in the room at all (had to make our phone calls in the parking lot). The shower had no hot water and the room was quite cold. We were there for 2 nights and the room was never cleaned during our stay. For the price we payed we would have expected a slightly higher standard. The sink takes a bit to warm the water up, but the shower was great. The staff was excellent. 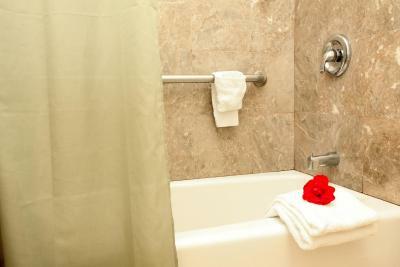 The room was not glamorous, but it was clean, very nice, and suitable for a single traveler. The location is near everything. I really enjoyed my stay there and will stay again when I return to Monterey.